RC Willey brings you this gorgeous burgundy leather-match 6 piece power reclining sectional sofa. When choosing a sectional, comfort is paramount. With this choice, you won't be disappointed! 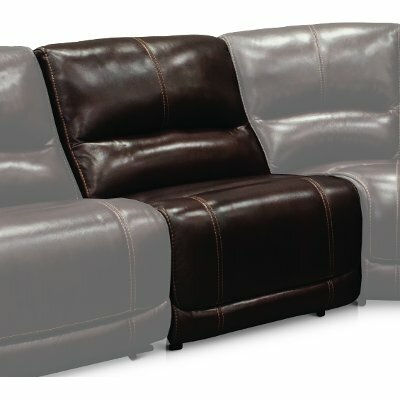 Includes a power reclining chaise, two power reclining seats, an armless chair, a corner wedge, and a console with USB, cupholders, and hidden storage. Sink down in with your whole family or a relaxing evening! Leather-match is top grain leather in the seating areas with matching fabric on the sides and back. 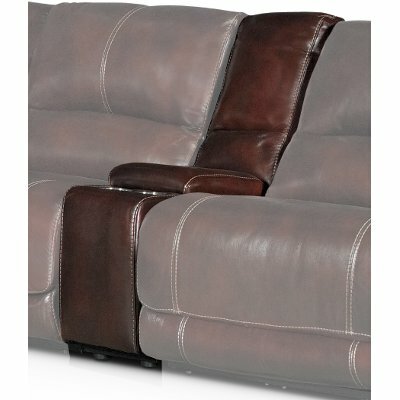 Burgundy Leather-Match Power Reclining Sectional Sofa - Brant is rated 5.0 out of 5 by 3. Rated 5 out of 5 by RosevilleFamily Almost too comfortable Other than our family and friends routinely falling asleep on our brand new couch, I can't think of a single downside. Looks beautiful, incredibly comfortable. Fantastic all around! Rated 5 out of 5 by Funkydoglover Durable leather sectional for our lifestyle.. We have 2 dogs and wanted a leather sectional that is durable functional stylish and easy to clean. 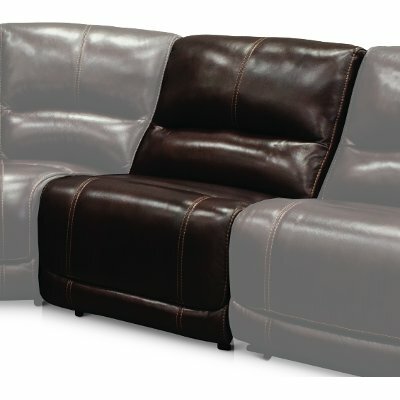 This sectional has 2 power recliners and the chaise, wide enough for my large dog to share, also reclines.The armless chair and wedge piece are comfortable too.There are 2 USB ports in the console and 1 in a recliner, perfect for phone charging while watching TV! We are very pleased with this purchase and our salesperson Juan was terrific and even sent us a handwritten thank you card!